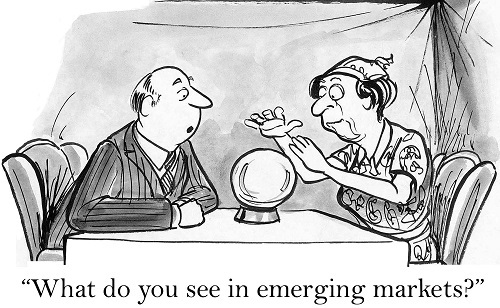 Do Emerging Markets Present Opportunities or Threats? Financial Advisors in Perth: Do Emerging Markets Present Opportunities or Threats? At Approved Financial Planners, we offer a full slate of financial services. We have more than 40 years combined experience providing financial services to the Perth market. To learn more or for an individual consult, call us today: 08 6462 0888. *Callum Thomas, AMP Capital. Emerging markets – threats and opportunities. 13 October 2015. Andrew provided a first class service. He made the process of refinancing our home loan so easy. He listened to our requirements and found us the ideal product. He liaised with our existing bank and settlement was hassle free. I would definitely recommend Andrew to our friends and family. Andrew has an excellent understanding of mortgage lending and the products available. He constantly kept me updated through the process and would no hesitation using his services again. Great dealing with Andrew, he’s very knowledgeable and easy work with and that’s why he’s been out broker for many years including 2 homes. I was very impressed by Janine’s professionalism and ethics as well as her knowledge of the field. She was always well organised, and maintained contact, she was also available to answer any queries and always got back to me straight away. Janine provided comprehensive information and several financial options and with her continual support I was able to select a suitable lender that met all of my requirements. I will be recommending her to family and friends and will remain a long term client, thanks for everything Janine. As my Financial Planner, David advised me on my superannuation and as I approached retirement, he put a strategy in place which has saved me tax and provided considerable additional funds in retirement. David continues to look after my funds and he is never too busy to meet or chat on the phone. I have found my Approved advisor Dan Stevens to be good to deal with, easy to get along with and has always done the right thing for myself and my family. My son is now a client and I am satisfied that he is in good hands. If it weren’t for Sean and the team from Approved, we wouldn’t be in our new house today. They helped us gather a deposit using one of our supers and got the loan through for us. Where others had told us it couldn’t happen, Sean and the team proved it could. They had everything signed, sealed & delivered in under six weeks and with very little effort on our part. An amazing team, we are very grateful for. While recently implementing changes to my superannuation, Daniel was very capable and professional in his approach. Combined with a relaxed and friendly nature, the customer experience at approved is one I would definitely recommend. Approved Financial Planners Pty Ltd ABN: 52 116 910 528, trading as Approved Financial Planners is an Authorised Representative and Credit Representative of AMP Financial Planning Pty Limited ABN 89 051 208 327 Australian Financial Services Licence 232706 and Australian Credit Licence 232706. Any advice contained in this Page is of a general nature only and does not take into account the objectives, financial situation or needs of any particular person. Therefore, before making any decision, you should consider the appropriateness of the advice with regard to those matters.